TOP TRUMPS is the classic card game that’s been delighting kids big and small since the 1970s. 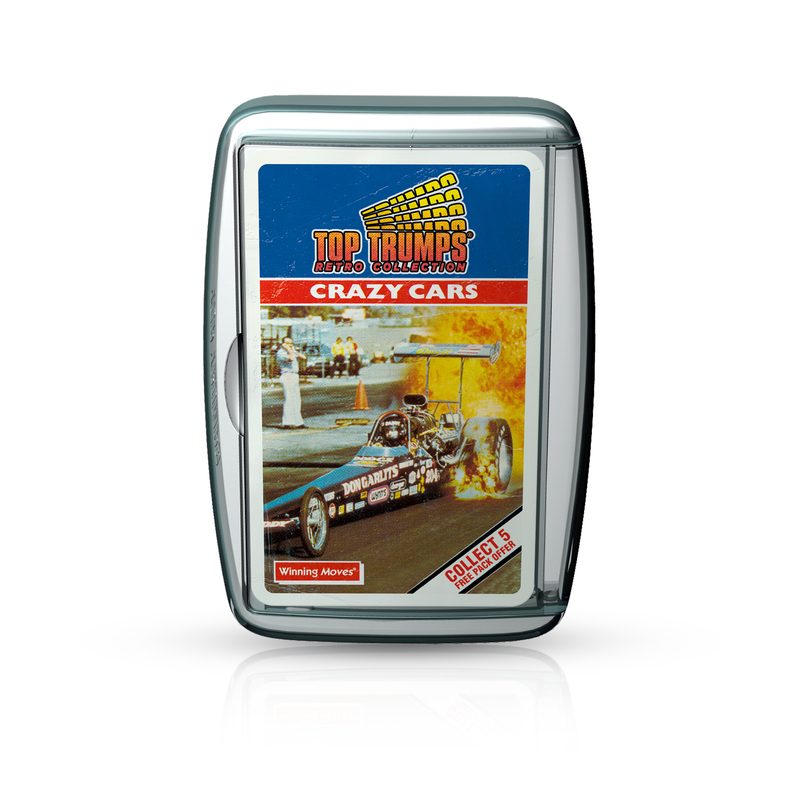 Now it’s going back to its roots with a retro collection, remaking six Top Trumps classics, which come presented in a newly designed cassette-style case for a truly authentic retro game experience. Bringing all the nostalgia are Crazy Cars, Exotic Cars, Fantasy, Horror and Today’s Strikers, revealing key facts and figures such as which 90s sport car was the fastest, what 70s b-movie creature has the highest Horror rating and how many international goals your favourite striker had in 1992! For retro car fans, there’s Crazy Cars, showcasing all original artwork of the like of the Midnight Shocker, Porsche 917 Le Mans and the Plymouth Super Stock. Continuing the four-wheel theme is Exotic Sports Cars, which brings back the excitement of the TVR V8S, Lamborghini Diablo, Jaguar XJ220 and more.